We are committed to creating a community of water quality advocates that come together through education, action, and recreation. In search of new adventures in the Ozarks? Have a best friend ready to get active in the community? looking for interesting ways to spend time together? Is your crew excited to start lending a helping hand? Could local tourism boost your business? Are you concerned with our community's economy, health, & happiness? How is water involved in your day-to-day work? Considering a new way to reward your staff? ...non-profit's ability to implement community projects, including clean-ups. 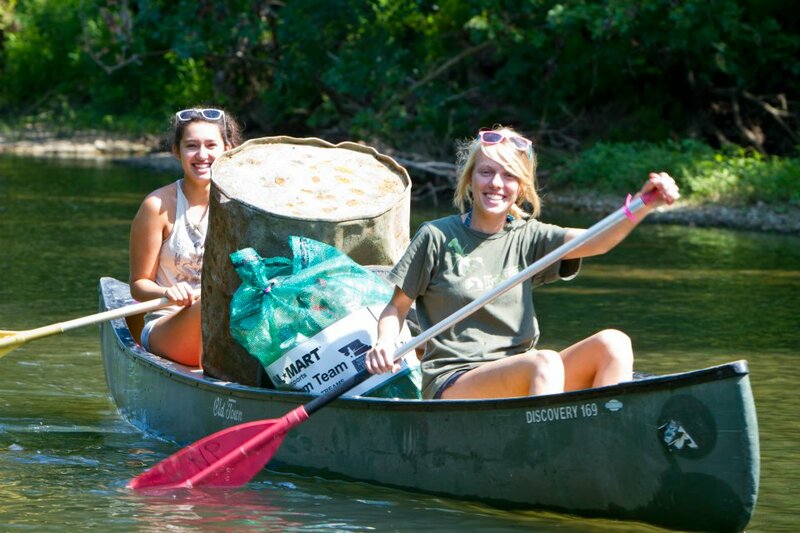 JRBP and our volunteers remove thousands of pounds of trash and recyclables from local rivers each year. Your membership helps fund these clean-ups as well as educational outreach opportunities for adults and youth, projects & programs within our community, and general operational duties. Your membership is tax-deductible based on JRBP's 501.c.3 non-profit status.